resonant precision. illustrations. relational neuroscience. i create these drawings synthesizing relational neuroscience concepts with sarah peyton of empathy brain. copyright, contact me for usage rights. this is a diagram of sarah peyton's synthesis of polyvagal theory, attachment theory, and the hemispheres. it is a horizontal section of the brain with superimposed attachment style and vagus nerve information. i created this illustration for sarah back in 2015, and our understanding has since changed, but i still love this drawing for beginning to superimpose and integrate these concepts. the fibers of attachment are mainly based in the right hemisphere. 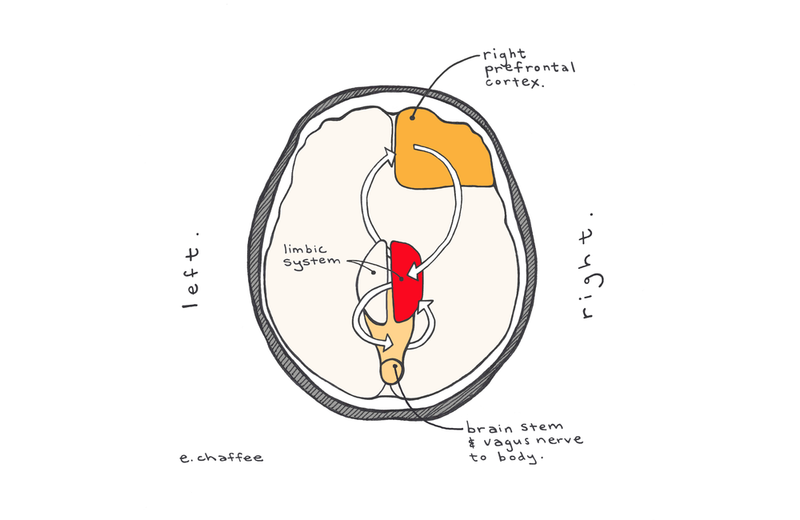 this drawing begins to show the relationship between right prefrontal cortex, right limbic system, and the vagal connection with the emotional body. the more we hold ourselves with warm resonance, the more we nourish the growth of these fibers for long term well-being. 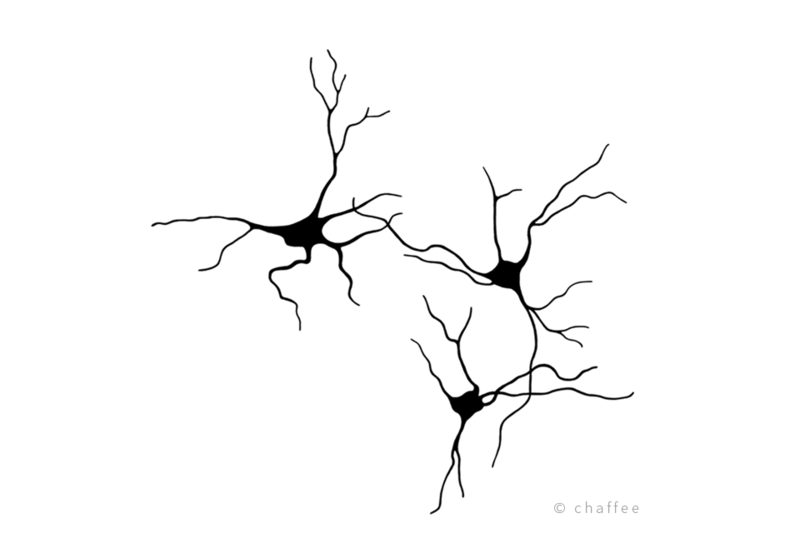 exploring the relationship of neurons.